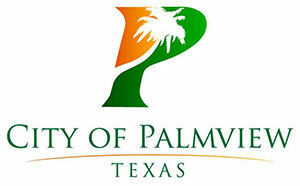 PALMVIEW — Plans to create a regional task force in Western Hidalgo County won’t be moving forward after all as the city of Palmview moved to terminate the interlocal agreement with the cities of Peñitas and La Joya. The agreement, initially discussed by the cities in 2016, was rescinded by the city council on Tuesday after seeing little movement from the two other cities. “We were in the process of trying to get La Joya and Peñitas to participate in this regional effort and they have not, as of yet, and so at this point we’re recommending we terminate the agreement,” interim City Manager Leo Olivares told the city council. The task force would have included one or two officers from each city, with each city providing its own unit. The officers would have the ability to operate within the three municipalities. Palmview and La Joya had agreed to move forward on the task force but the Peñitas city council tabled the item during a meeting in May 2016 until they received clarification about concerns. “It really never got kicked off,” said Palmview Police Chief Christopher Barrera, who added that they would continue the aims of the task force within their own unit. At the time it was publicly discussed by the cities, the task force was described as an effort to seize assets through narcotics interdiction. Alaniz said he’s not sure why the regional task force never came to be but said the higher administration never really got together to pursue this. However, Peñitas City Manager Omar Romero said there was discomfort on his part about what the parameters of the program were going to be and how the oversight of the program was structured. Additionally, he said he believed the program would give Peñitas residents the wrong impression. Olivares said even though the task force didn’t get off the ground, Palmview continues to work with the cities on other public safety initiatives. Barrera also reiterated that the city would continue enforcing those laws.